Before you start your food and items storage you need to figure out what you will need. The easiest way to do this will be to make a list of what you need. If you meal plan, this step will be much easier. Take a look through your old meal plans and figure out how much your family eats over a month. Write down how many pounds of hamburger, how many packages of pasta, ect. It’s also a good idea to do this with your health and beauty and toiletry products as well. I’ve mentioned before how I make a How Long Does It Last Checklist. This would be a great way to easily be able to create your health and beauty stockpile. And don’t just use this method with health and beauty supplies, think facial tissue, toilet paper, and things like that too. Don’t think that you need to have all pantry items for your food storage. 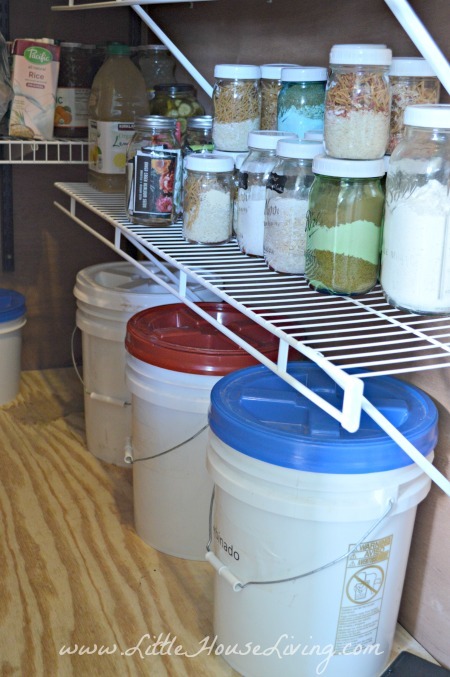 Even though having shelf stable items is the most sustainable form of food storage, it’s not necessary to be totally dependable on one form of storage. Once you have a good list of what you need, don’t feel like you need to buy everything all at once! In the next couple posts we will work on building the stockpile. Learn more about Practical Food Storage and Preparing for Price Increases. And make sure you check out how to save and live better in all areas of your life on the Making the Most page! This is something I definately need to work on. I used to have quite a stockpile. I never planned it out though. I just bought things we used on a reg basis when they were on sale (kept up w/sale roataions) and put them in the pantry. It was a hug blessing when we lost or house. We lived off of that pantry with minimal supplementation for close to a year. I need to be more organized now because we have food allergies to gluten now. Looking forward to doing it this way. I’d love to know more about the How long does it last checklist! The video link doesn’t work anymore. 🙁 Love your blog! !